Managing Director Christopher H. Nyland has more than 25 years of in-depth experience in the executive benefits industry. 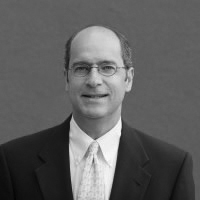 He has been instrumental in successfully developing nonqualified benefit plans for many Fortune 1000 companies from the financial services industry to healthcare, engineering, high-tech, manufacturing, and utilities corporations. Christopher’s extensive consulting expertise includes nonqualified benefit plan design, funding, security, and administration as well as change of control and merger related issues.